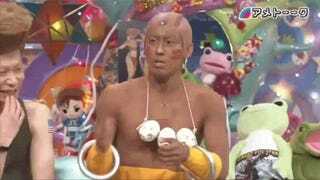 It's not everyday you can flip on your television in Japan and see major celebrities cosplaying as Street Fighter II characters and talking incessantly about the game. 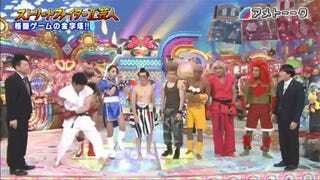 Last week on variety show Ame Talk, a handful of famous Japanese people who are into video games dressed up and recounted their Street Fighter experiences and memories as well as explained the game. Not everyone in Japan plays Street Fighter! Among those included in the panel were Shinya Arino of GameCenter CX fame and fashion model and competitive Street Fighter player Kayo Sato, who, for example, mentioned how she still goes to the arcade three or four times a week to play Street Fighter. Not surprisingly, the costumes look great (this is a TV show, after all)—though, E. Honda is looking a tad thin. One of the cool things the show did was go back in post production and add CG effects. Special effects are better when you play along. See? But not all the moves needed cheesy computer graphics. 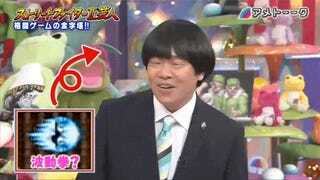 I've never noticed this, but comedian Toru Hotohara's head looks like a Hadouken.